SINGAPORE - In March 2016, Mr Pang Teck Chye's father would go missing for hours at a time from his Choa Chu Kang home. "At first, we didn't know anything about dementia," said Mr Pang, who works as a newspaper delivery man. "We didn't know how to take care of him. It was very stressful." On Thursday (Oct 25), Senior Minister of State for Health Amy Khor launched a new app that is intended as a one-stop resource for caregivers like Mr Pang to learn more about dementia. It was jointly developed by the Agency for Integrated Care (AIC), Nanyang Polytechnic and the Integrated Health Information Systems, which runs the IT systems of all public healthcare institutions here. Dr Jason Cheah, who is AIC's chief executive, said: "The new app makes it more convenient for caregivers searching for resources, and provides support as a one-stop platform for relevant information anytime, anywhere." 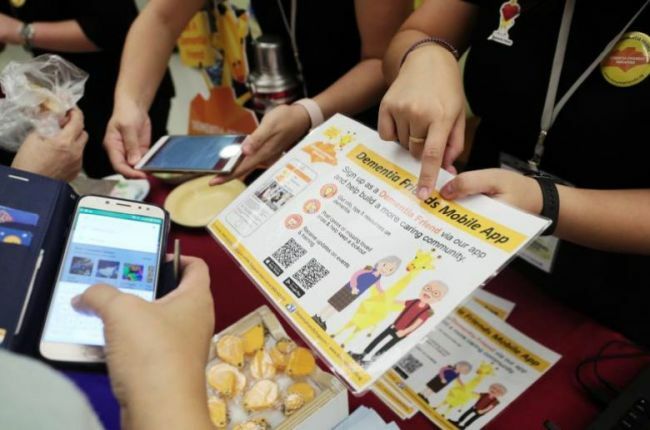 The app was launched at a seminar organised by charity group Brahm Centre to raise awareness of mental well-being, especially among working adults. Topics included managing workplace stress and practising mindfulness as a means of reducing stress. She added that it is important for people to practise good self-care and recognise if they have symptoms of common mental health issues, such as burnout, depression and anxiety. "If present, it is crucial to seek help early, talk to a trusted friend, find ways to cope and build up our mental resilience," she said. Mr Pang said that taking care of his father has become much less challenging for him and his two other siblings now that they are more familiar with his condition. "Things are more stable now," Mr Pang said. "We understand how to deal with his condition."